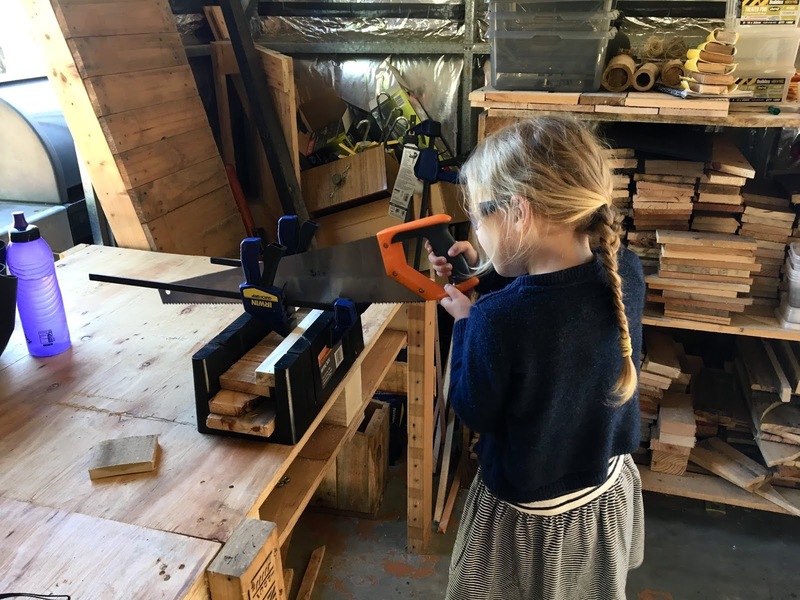 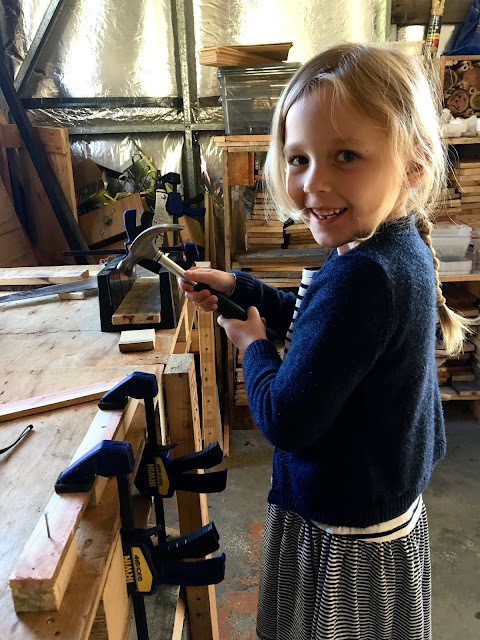 Recently, Cohen and Emerson partook in a wood workshop to make their own crossbow. Emerson's shy-outer was soon unmasked by her desire to saw, hammer and drill. 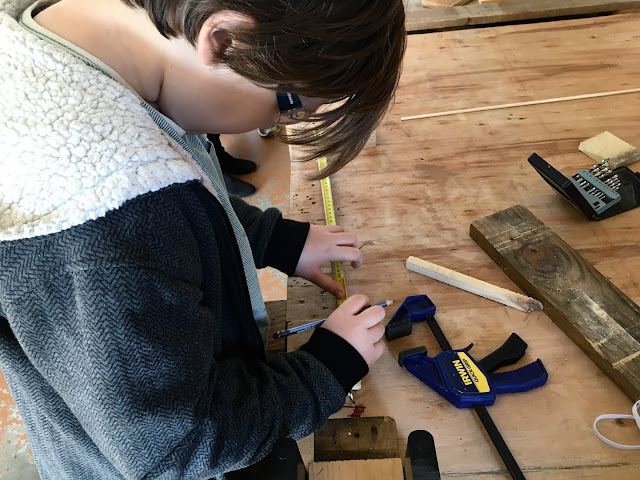 It was such rewarding fun to work alongside them and assist them as they followed the directions, measured, cut and assembled their projects. 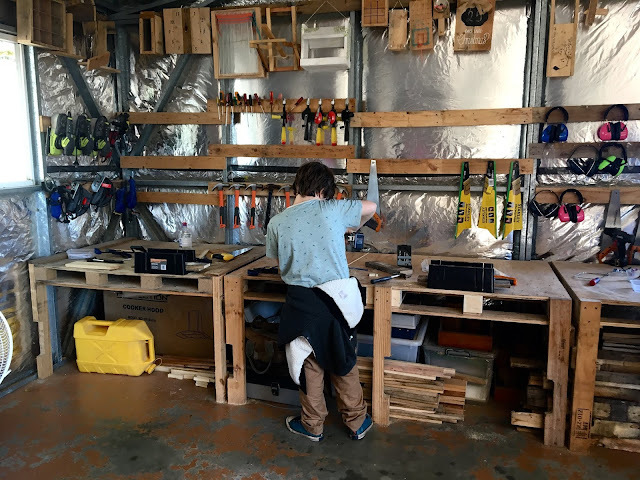 I actually forgot to take photos of the finished items, which are clever and wonderful, and which delighted both children. Needless to say, there has been much crossbow play with their blunt arrows ever since. There are just so many opportunities to learn outside of school!